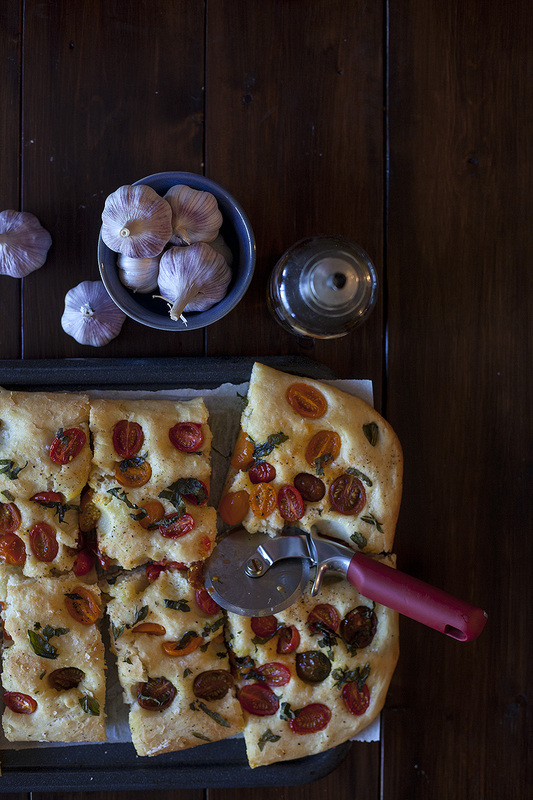 For years, I searched for the perfect focaccia recipe. 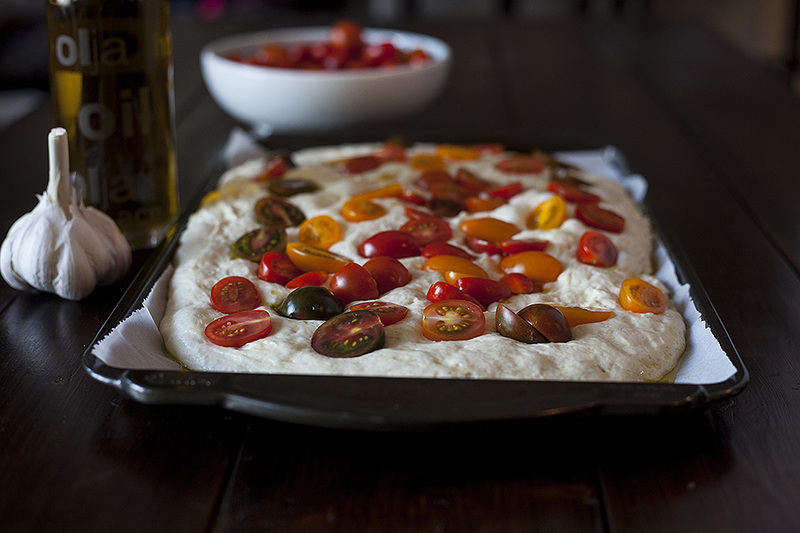 Too many times rather than an authentic focaccia I ended up with something more akin to pimped up pizza dough. A dense tough flat bread with stuff on the top. 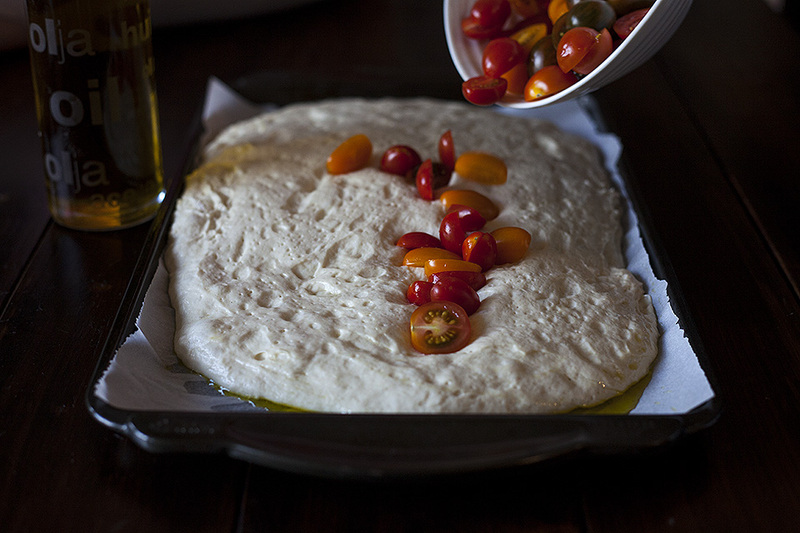 When I was developing Italian by Night, creating perfect focaccia became an obsession. Which ended up being a good thing because after five full days of playing with a number of draft recipes, I finally nailed it. I knew as soon as I took that loaf out of the oven that it was the elusive focaccia. Light and airy but dense enough to still be considered bread. The secret is water. Enough water to make a sticky dough then more to create a crispy crust. 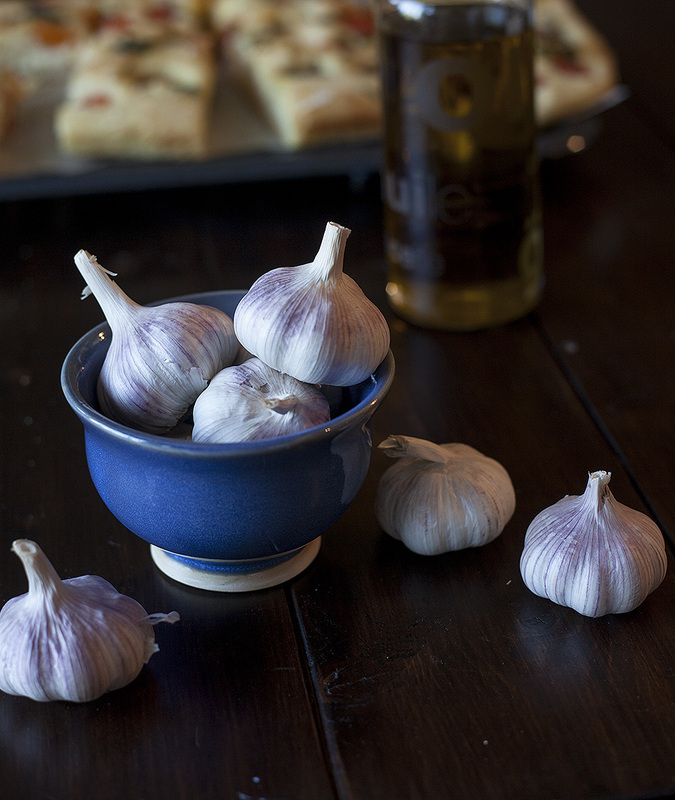 The recipe that I’m sharing today is not the recipe that I developed for the restaurant – that recipe is top secret! – but still wonderful. 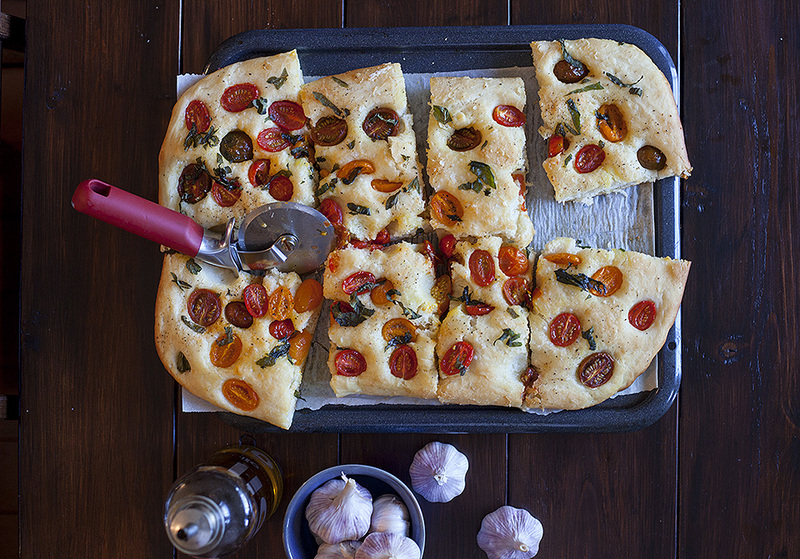 That sounds a little braggy but I promise if you like authentic Italian focaccia you’ll love this recipe! Dissolve yeast in ¼ cup warm water then let stand for 10 minutes. Mix flours with salt in your stand mixer. 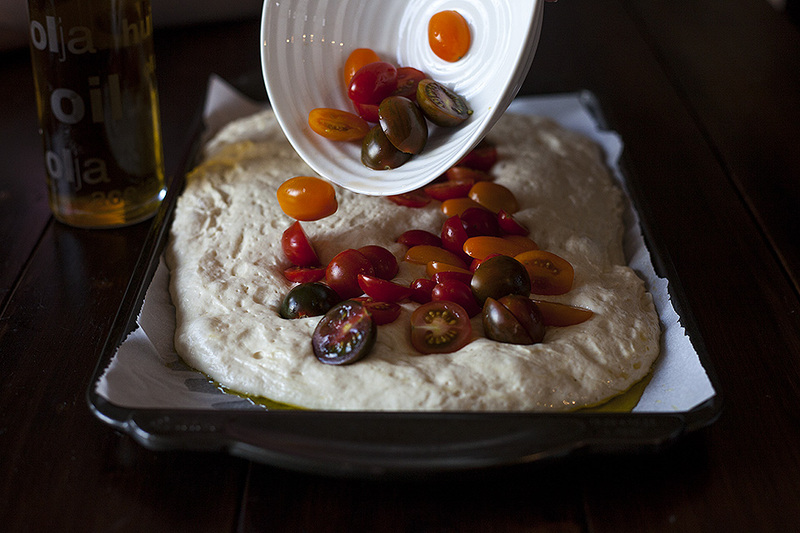 When yeast is dissolved add mixture to flour with olive oil and additional 1 ¼ cup of water. Using dough hook knead until blended. Allow dough to sit in bowl for 15 minutes covered with plastic wrap. 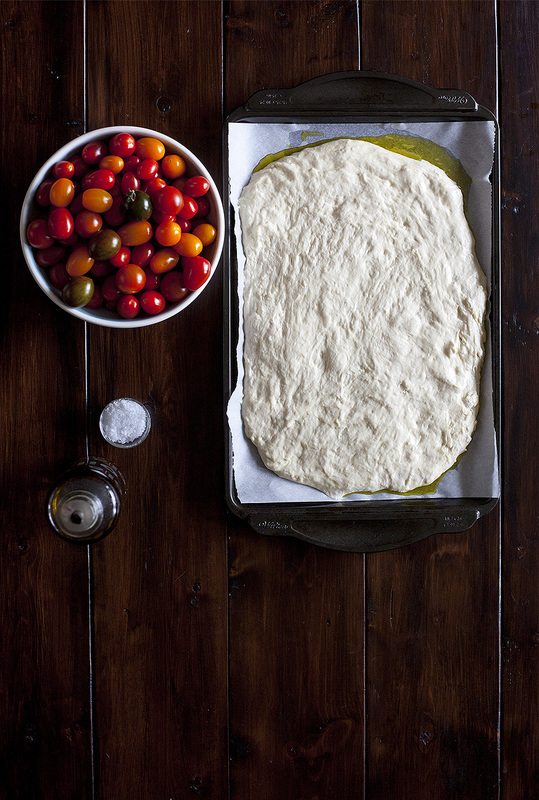 Pour dough onto a parchment lined and oiled baking sheet. Allow dough to sit for 20 minutes again covered with plastic wrap. Carefully stretch dough to fit pan by gently reaching under dough from the centre and pulling dough to fit pan. Be careful that you don’t rip the dough. Allow dough to double in bulk then carefully remove plastic wrap. Mix 2 tablespoons of water with ¼ cup extra virgin olive oil. 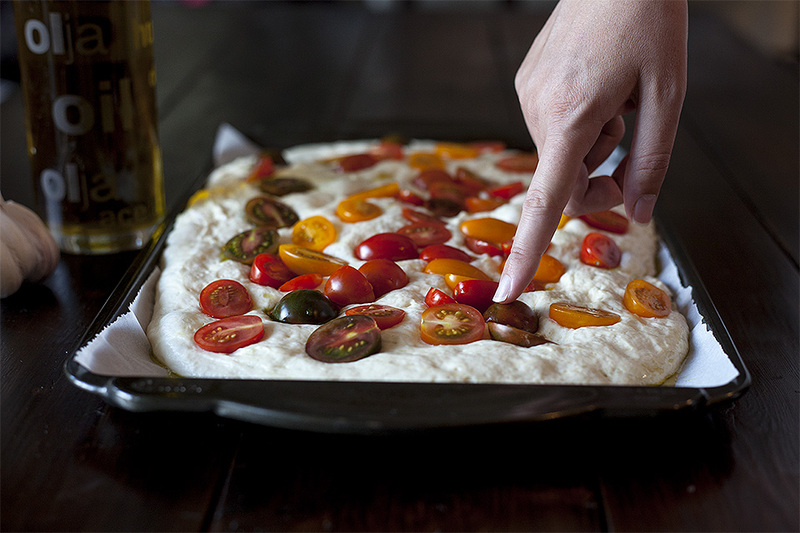 Dimple top of focaccia with your finger. Drizzle water/olive oil mixture over dough. 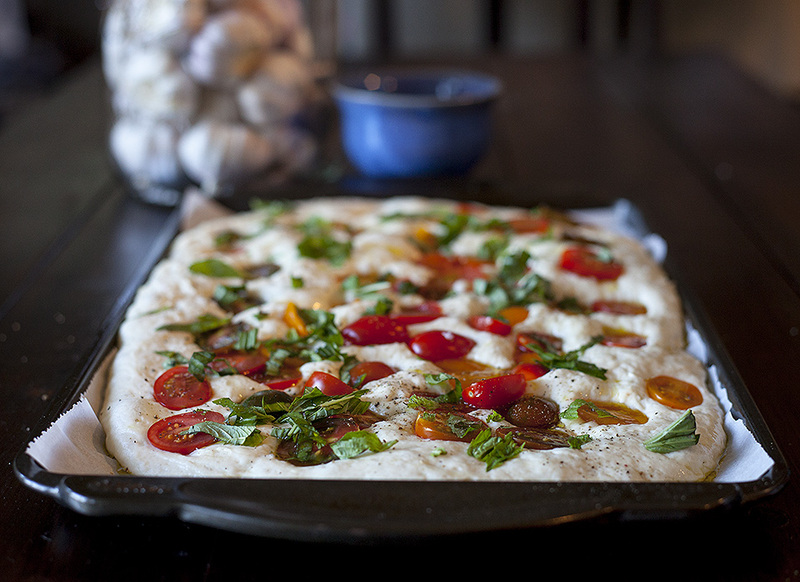 Sprinkle top with 1 cup cherry tomato halves, fresh basil and coarse sea salt. THE LOVE: Don’t second guess yourself when you see how wet and sticky the dough is. That’s how it should look! The grace in mothering my daughter in the final days of her pregnancy is breathtaking. This entry was posted in yeast breads and pizza and tagged authentic focaccia, best focaccia recipe, focaccia recipe, Italian flatbread recipe, Italian focaccia, tomato and basil focaccia recipe by Michelle. Bookmark the permalink.